Donna Von Den Bosch climbed to the attic of her home so she could watch the footage alone. The images flashed on her computer screen: the police car, the churches, the priests. Von Den Bosch was watching the trailer of the forthcoming Netflix documentary “The Keepers.” The seven-part series focuses on sexual abuse in the 1960s and ’70s at Archbishop Keough High School and the unsolved 1969 disappearance and death of Sister Catherine Ann Cesnik, an English teacher at the all-girls Catholic school in Southwest Baltimore. 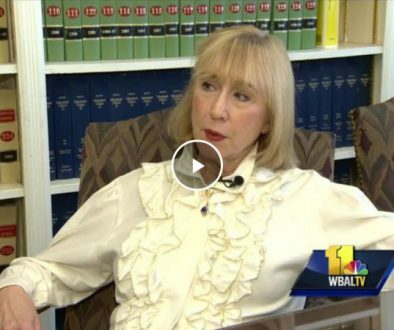 Von Den Bosch, who has received a settlement from the Archdiocese of Baltimore for abuse she suffered at Keough, is featured in the series. She is among the many across the region who arebracing for its release Friday. Baltimore County police, who have been investigating Cesnik’s death for nearly 50 years, are preparing for a deluge of tips. The archdiocese will face more questions about abuse by its clergy, and how church leaders responded to it.Seton Keough High School, formed by the merger of Archbishop Keough and Seton high schools, plans to deploy counselors to speak with students after the series premieres. And survivors of the abuse expect to revisit some of the darkest moments of their lives. The series delves into theories and suspects in the death of Cesnik and the influence of the Catholic Church in Baltimore. While many of the details have been aired before, the publicity generated by a Netflix series in the age of social media will bring a new level of interest from the public and scrutiny to local institutions. The series is drawing comparisons to “Making a Murderer,” the hittrue-crime series released by Netflix in 2015. Some hope all the attention will turn up new information. Gemma Hoskins, 64, is one of a group of Keough alumni who have tried to investigate their teacher’s death. “I really believe that once this film airs, we will get the answers that we’re looking for,” she says. Police revealed this month thatin February they exhumed the body of the Rev. A. Joseph Maskell, a Catholic priest accused of abusing students at Keough and suspected in the nun’s killing. “I’ve been talking to reporters pretty much nonstop ever since,” police spokeswoman Elise Armacost says. A central figure in the series is Jean Wehner, the woman who told police in 1994 that Maskell had shown her the nun’s body. Maskell, who was Keough’s chaplain and counselor, died in 2001. Since 2011, the archdiocese has paid a total of $472,000 in settlements to 16 people who accused Maskell of sexual abuse. But he was never criminally charged. And no one has been arrested in Cesnik’s killing. Ryan White, whose aunt attended Keough when Cesnik taught there, directed the series. Sister Catherine Ann Cesnik belonged to the School Sisters of Notre Dame, an order devoted to education. At Keough, she taught English and coached the drama club. The young nun taught girls dance moves for their performances, lifting her black habit to show them her footwork, Hoskins remembers. When she read aloud from books, she took on the voice of the characters. Cesnik left Keough in 1969 to work at the public Western High School. She left her home in the Carriage House apartments on the evening of Nov. 7 to go to the bank and Edmondson Village Shopping Center, and was never seen again. She was 26. Baltimore police led the search. Her unlocked car, a green Ford Maverick, was soon found parked illegally near her apartment. Inside was a box of bakery buns, twigs and leaves. Her body would not be found until Jan. 3, 1970, covered in snow in an area off Monumental Avenue. Authorities said she had suffered blunt-force trauma. They could not determine whether she had beensexually assaulted. Baltimore policeDetective Nick Giangrasso was assigned to handle the missing-persons case with his partner. He does not believes her killing was a random attack. That’s a central theme in “The Keepers,” and a theory Baltimore County detectives have pursued. Thecounty took the case when Cesnik’s body was found there. County police cooperated with the documentary’s producers, but did not make detectives available to talk to The Baltimore Sun about the case for this article. Maskell had deepties to police, and some of his victims say they were alsosexually abused by officers he associated with. Maskellserved as chaplain for the Maryland State Police and the Baltimore County police, The Sun reported in the past. (Officials with those agencies today say don’t have records of his service). His brother was a city police lieutenant. Victims say he carried a gun. 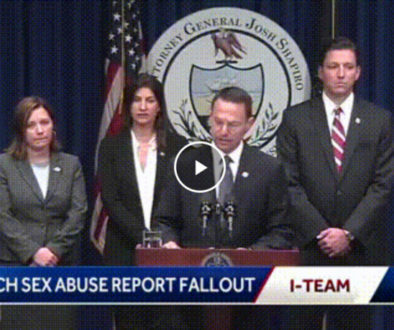 “He was extremely connected, and everyone knew that,” saysJoanne Suder, an attorney who has represented victims who received settlements from the archdiocese. In the 1990s, after Wehner told police that Maskell had taken her to see Cesnik’s body before it was found by police, several officers involved in the investigation in 1970 told The Sun that church officials hindered their initial efforts. “We are as anxious and hopeful for this case to be solved as anyone,” Caine says. The archdiocese did not grant interviews to the documentary producers, but answered questions in writing, Caine says. In recent years, county detectives have examined connections between the death of Cesnik and those of three other girls or young women killed between 1969 and 1971: Joyce Helen Malecki, 20, of Lansdowne; Pamela Lynn Conyers, 16, of Glen Burnie; and Grace Elizabeth “Gay” Montanye, 16, of Reisterstown. Their bodies were found in different jurisdictions in the Baltimore area, and all of the cases remain unsolved. The Cesnik case has fallen dormant at times, Armacost says, but it’s always remained open. She says it’s one the most active of the department’s 250 cold cases. After the nun’s body was found, Armacost says,detectives conducted interviews and polygraph tests, but the case stalled around 1977. Investigators took a new look in the early 1990s, when abuse allegations emerged against Maskell, and police were learning how to use DNA evidence. Police developed DNA profiles of a half-dozen suspects to compare with a sample from the crime scene, Armacost says. None of them matched. Detectives did not consider Maskell a prime suspect at the time, Armacost says.Although they interviewed him, they did not take DNA. After abuse allegations mounted, Maskell fled to Ireland. The case was reassigned last year when previous investigators retired, Armacost says, and police re-interviewed a suspect. The department received an allegation, through Suder, from a woman who said she was abused by a now-deceased county officer associated with Maskell and the Cesnik case, Armacost says. But the woman wanted to remain anonymous, Armacost says, and declined to be interviewed by police. Suder saysabout six of her clients abused by Maskell say they were alsoabused by police officers. She has asked county police for photos of officers who worked with Maskell. Armacost says the department does not have photos going back that far. Now police are preparing for renewed attention on the case, and questions about how they handled it. Armacost has met with the department’s public information officers and prepared a fact sheet about the case for the press. “We feel like there’s a window of opportunity now … where it might be possible to solve this case, and that’s what we’re focused on,” she says. But it’s a double-edged sword. A high-profile series has potential to generate solid tips, she says, but also bad information. Still, he believes it begs questions about the past. “Why are we finally in 2017 having to spend the time and money and resources to do this, to exhume this body?” he said. The documentary is as much about child sexual abuse as it is about the nun’s killing. Over the past 35 years, Caine says, the Baltimore Archdiocese has paid out $10.6 million in settlements related to abuse. Those funds have come from insurance carriers. About $5.7 million was related to lawsuits or potential lawsuits, Caine said. The rest was spent onsettlements in cases in which Maryland’s civil statute of limitations had expired. According to their lawyers, several of the people who received settlements related to the Maskell allegations also say they were abused by the Rev. Neil Magnus, another Keough priest. Magnus died in 1988, before the archdiocese received allegations about him, Caine said. Maskell was removed from the ministry in 1994, Caine said. Before his death, he denied abuse allegations and knowledge of Cesnik’s killing. Attorney Sheldon Jacobs, who has represented victims in mediation with the archdiocese, says Maskell had two sides. Teresa Lancaster, 63, is among those who went to Maskell for help. Lancaster came from a devout Catholic family in Baltimore’s Ten Hills neighborhood. She was excited to go Keough, a new school when she enrolled in 1967. And she was raised to think priests were God’s representatives on Earth, she says. When she was around age 16, her parents found marijuana in her purse. Her mother was hysterical, she recalls. She went to Maskell’s office, thinking he could talk to her parents. The priest had her sit in his lap, she says, then removed her clothes and molested her. “He said, ‘Don’t worry, I’ll call your father and make everything right,’?” she says. The archdiocese says it first received allegations about Maskell in 1992 but could not corroborate them. The priest was pastor of Holy Cross Church in Federal Hill at the time. He went toa psychiatric hospital in Hartford, Conn., for evaluation. In 1993, he was put in charge of St. Augustine’s in Elkridge. More allegations became public in 1994, and he eventually resigned. That year, Lancaster, now an attorney, and Wehner, the woman who says Maskell showed her Cesnik’s body, brought a $40 million lawsuit accusing the priest of sexual abuse. They also named the high school, the archdiocese, the School Sisters of Notre Dame, and then-Archbishop William H. Keeler as defendants. They filed the lawsuit anonymously as Jane Doe and Jane Roe. Itnever went to trial. The women had filed it after the statute of limitations had expired, but arguedit should be allowed to proceed because they had recently recovered memories of abuse. The Maryland Court of Appeals rejected their argument. Caine says thechurch fully acknowledges abuse committed by Maskell. “He did represent the church, and he used his position of authority and trust to steal the innocence and commit horrible crimes against children in his care,” Caine says. White, the director, became interested in the case through his family’s ties to Keough. His aunt had heard of “Jane Doe.” She learned it was Wehner a few years ago from a blog written by Tom Nugent, a former Sun reporter who has been investigating the case for years. White, 35,grew up in Atlanta, but spent summers at his grandparents’ house a few blocks from Keough. His crew filmed in the Baltimore area for more than two years beginning in 2014. “I’m hoping that some sort of movement can come out of the documentary’s release,” he says. Von Den Bosch and Lancaster say they want their story to reach other survivors of abuse. And they want to bring light to policy issues such as the statute of limitations for abuse lawsuits. Von Den Bosch hasn’t decided whether to watch “The Keepers.” She says it took her 12 hours to process the trailer emotionally. But she feels a sense of pride for telling her story. Baltimore Sun librarian Paul McCardell contributed to this article.